Grace: I know what I'll give you. You can have Gabriella's soup turine. How's that? Grace: Really? I'm glad. This way you'll remember for the rest of your life what an old peepot I was! A tender story regarding a young woman's acceptance of a painful loss while caring for a terminally ill elderly woman. 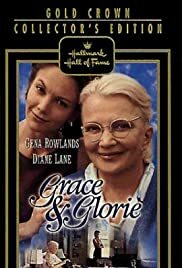 The characters of Grace and Glorie (Rowlands and Lane) are superbly genuine.